If your son or daughter receives an offer from us, we'll send them our 'Starting at NTU' guide – it offers information on everything from enrolment dates and study spaces, to fitness classes and club nights. But as parents and carers, we know you’ll have your own questions – in this section, you’ll find the answers, ideas, and tips to help them settle in quickly. The start of university brings opportunities, but also challenges – for you, as much as them. Don’t be surprised if the house seems empty to begin with, or if you’re feeling a little lost. This ‘empty nest syndrome’ is natural, and soon passes – you’ll remain a big part of your son or daughter’s life, but with more time and freedom to pursue your own interests. Find new opportunities, just as they will. Enjoy the freedom of ‘you time’ – consider hobbies or holidays that might not have been practical before. Just remember that the job never ends – you’ll always be a mum or dad, and the next favour’s only a phone call away! Budgeting is a key part of university life. Try to make sure that your son or daughter understands the importance of managing their money properly – being the safety net is a parent’s prerogative, but you should encourage them to manage their finances on their own. have considered a separate insurance policy, if their possessions aren’t covered by your household insurance. Our money management section provides more detail on rental cost, bills, utilities, and budgeting. Travel light, and try to keep it simple. It’s easy to overdo it, so focus on the essentials, like clothes, bedding, toiletries, and IT equipment. And don’t forget the basics – they’ll never have enough coat hangers, and family photos are especially handy in those first few days. a small sewing kit, for quick fixes. The independence and responsibilities of university life can be daunting – the fewer surprises your son or daughter encounters once they’re here, the better. So if they aren’t already familiar with cooking, cleaning, or laundry duties, now’s the time to learn. From understanding washing cycles, to emptying the vacuum cleaner, make sure you've got the basics covered. It sounds obvious, but in many cases that’s always been the parents’ domain! We’d recommend handing over the reins at home, at least once a week. 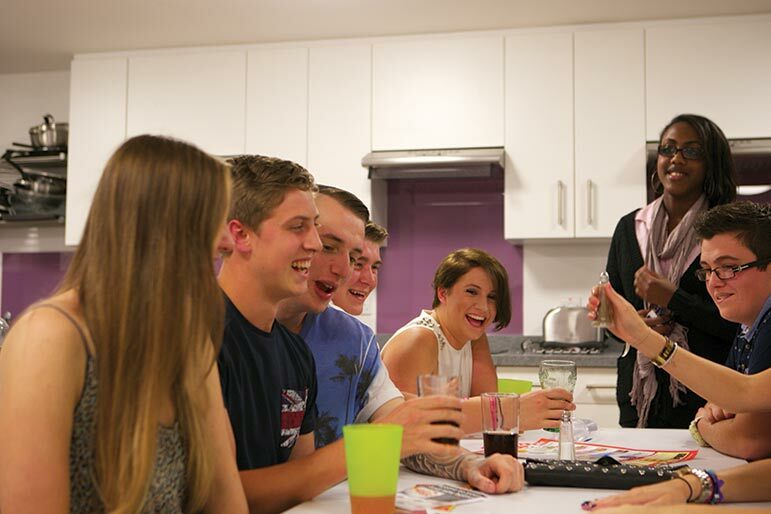 It’s important that they arrive knowing what it takes to keep a home happy, clean, and healthy – and not just for their sake, but their flatmates’ too. Eating out is a great way to explore Nottingham, but it gets expensive. Try to make sure your son or daughter arrives with a few basic recipes to hand – a little kitchen confidence will go a long way. Get them into the habit of freezing leftovers, planning their week’s food, and never shopping hungry. For cheap, nutritious meals, NTU's own online recipe book is a good starting point – written by our students, these quick and simple recipes will pay for themselves. We’re one of the UK’s foodie capitals, so they’ll have award-winning restaurants on their doorstep. From Greek to BBQ, and pasta to sushi, there’s something in Nottingham for every taste. 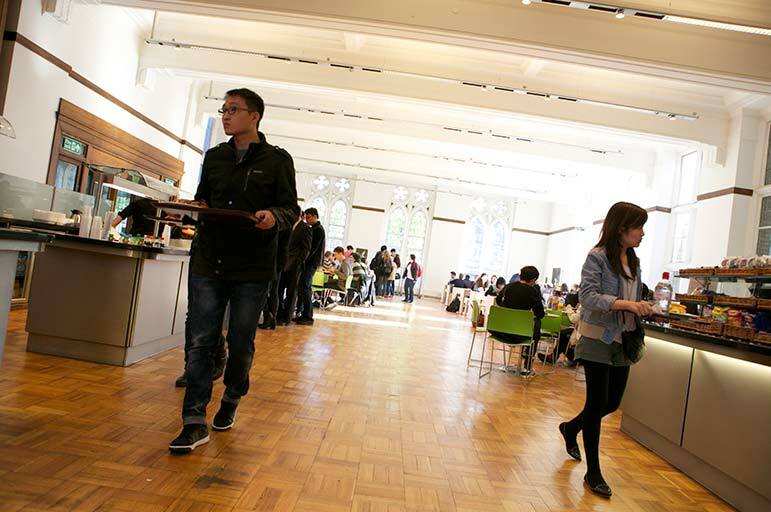 NTU’s sites all have their own restaurants and cafes, too – whether it’s a sit-down meal or a snack on the go, there’s plenty of choice. 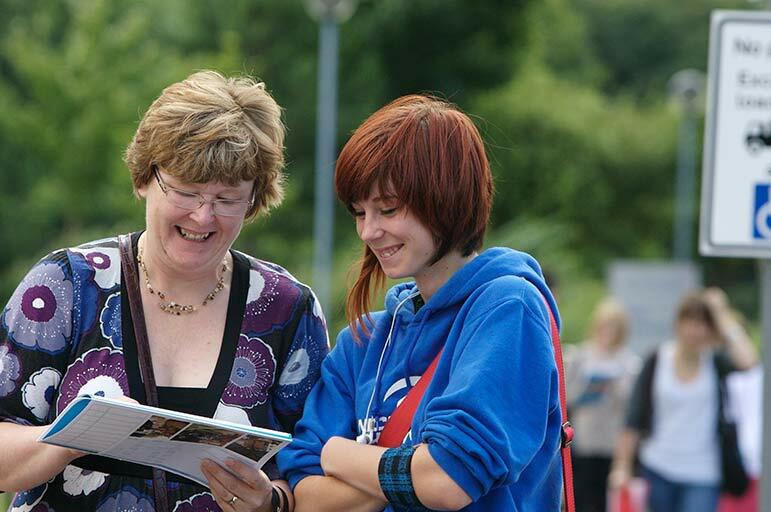 A son or daughter starting at university is a challenge – for them, and you. Don’t be surprised if life seems a little emptier to begin with, and try not to worry about their worries. It’s a time for independence and new opportunities, for all involved – so brace yourself, and enjoy it! A handful of recipes and a couple of cook books will make all the difference, when funds are tight. Knowing their way around a kitchen also helps your son or daughter to become very popular, very quickly! Stick to the essentials. Other possessions quickly build up over the course of a degree! They’ll thank you for it, soon enough. Get your son or daughter familiar with cooking, cleaning, and household chores – the more they know, the easier their transition to university life will be. Put their training to good use – with shared accommodation, rotas are the key to a happy household. Nothing causes disharmony like piles of dirty dishes, and messy communal areas – encourage your son or daughter to take the lead on a rota. Put together a financial plan that’s realistic, workable, and leaves them the space to have fun. Sound financial planning makes university life much easier, and reduces the need for distractions like part-time work.